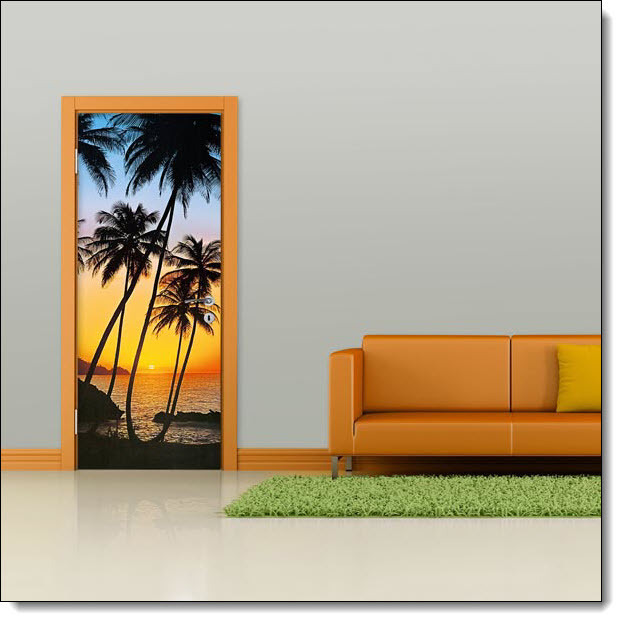 Sunny Palms Mural 529 DM529 Door size murals are the perfect solution for decorating smaller wall spaces or brightening up those otherwise drab doors. All door murals come in separate, easy to install panels. Install by simply pasting and smoothing like wallpaper. Install by simply pasting and smoothing like wallpaper. Simply mix the enclosed paste with water and brush it onto the panel. Each of our wall murals gives you an expansive view that'll make you feel as though you've traveled miles and found the serenity of the great outdoors.